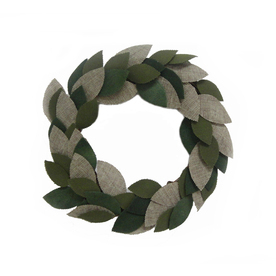 I saw this felt wreath at Lowes hardware store of all places. It's by Allen and Roth and I think was around $18.00. Too cute to not share! It is cute! It would make a great craft project too - hmmmmm.